Verito themes has been purchased 13, rating: 4/5 based on 4 reviews. 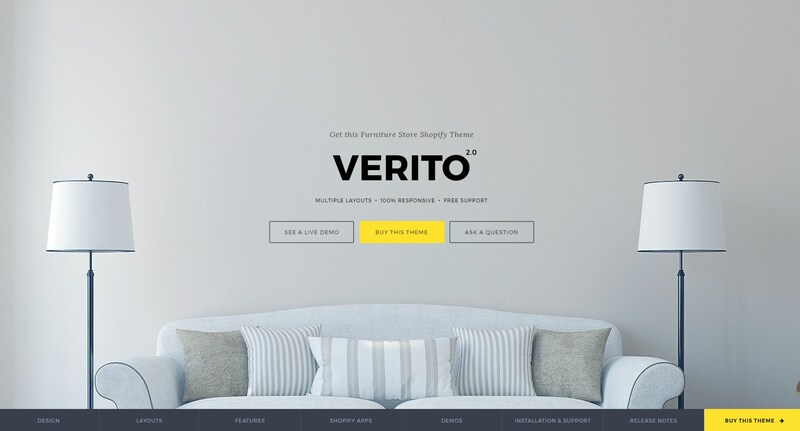 Verito is a Shopify theme developed by MagikCommerce. This theme has an unique and eye-catching design, which makes it easy to attract customers. This is the reason it helps your website to improve sales and increase loyalty. In addition, it is integrated tons of powerful modules such as SEO, Mega Menu, Blog, Related Products, Daily Deal, Timer Countdown, etc. Another point, Verify Shopify theme has a flexible and powerful management system, whether you are a beginner, you can also easily manage and use it.